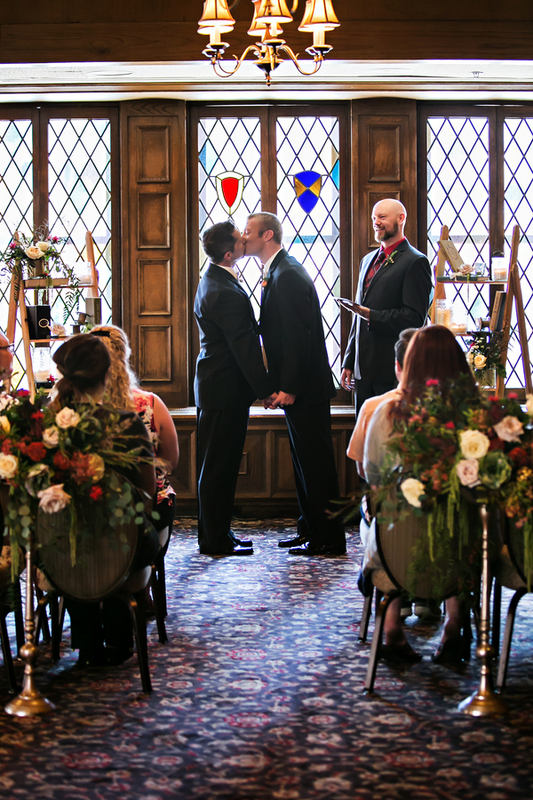 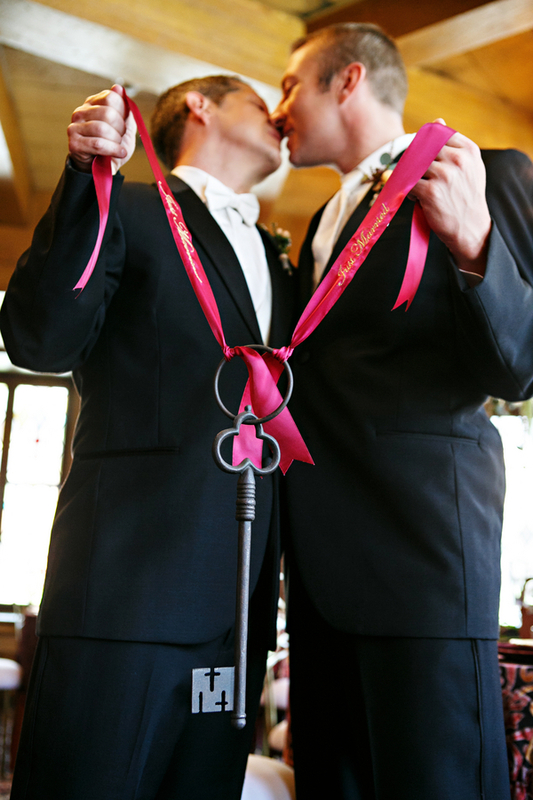 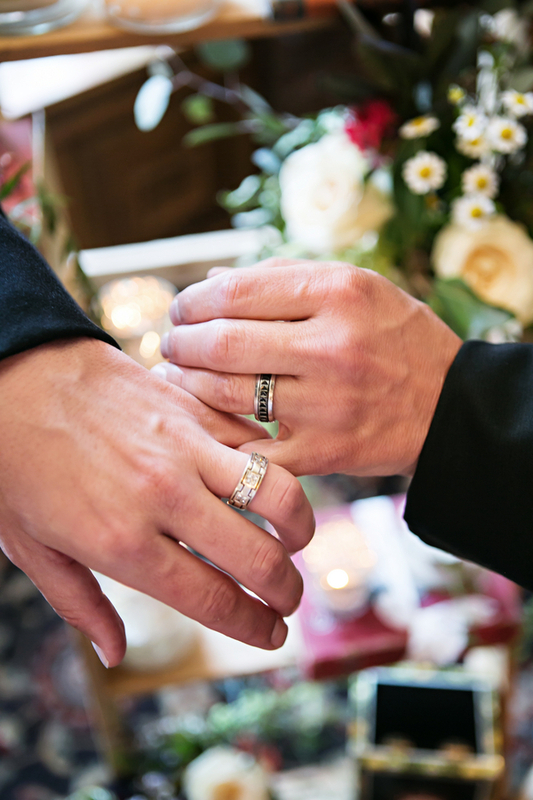 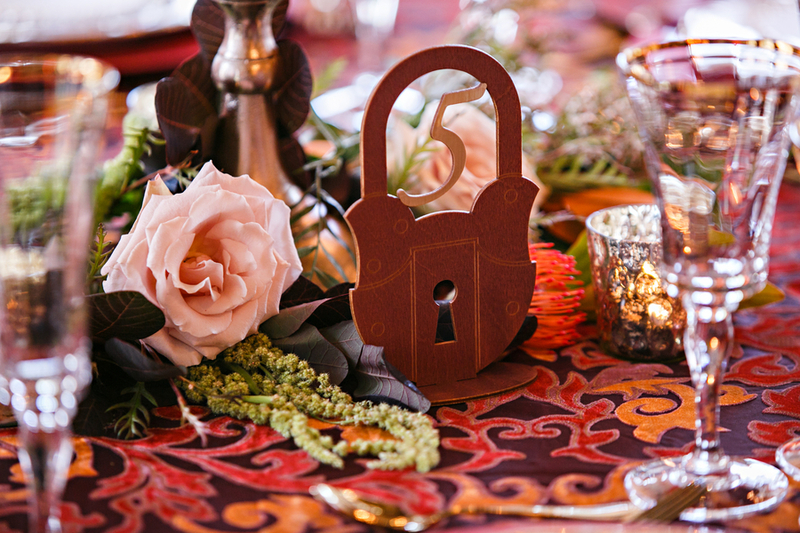 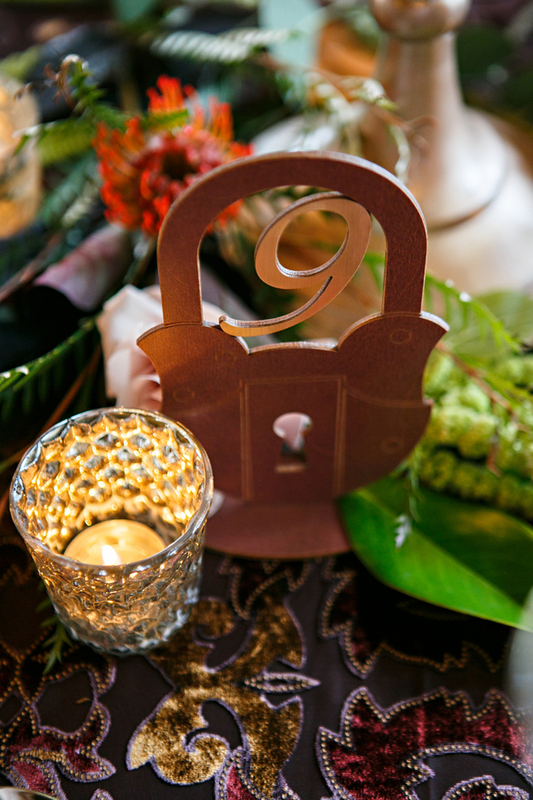 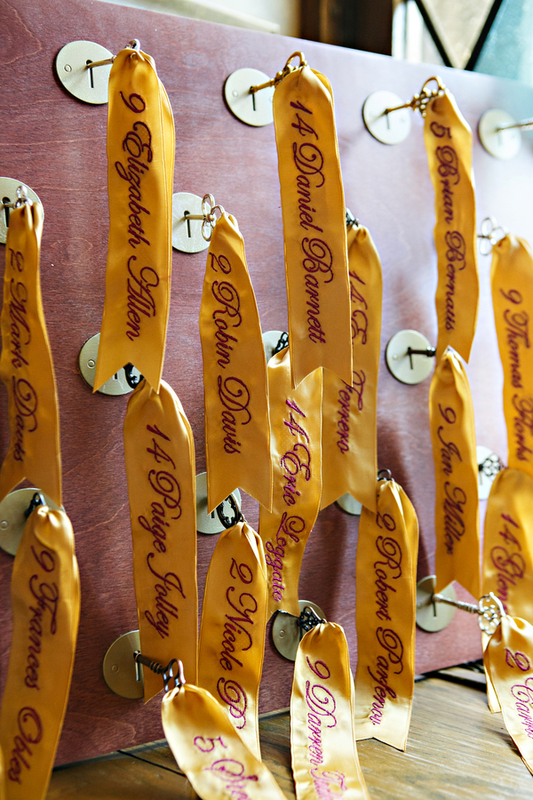 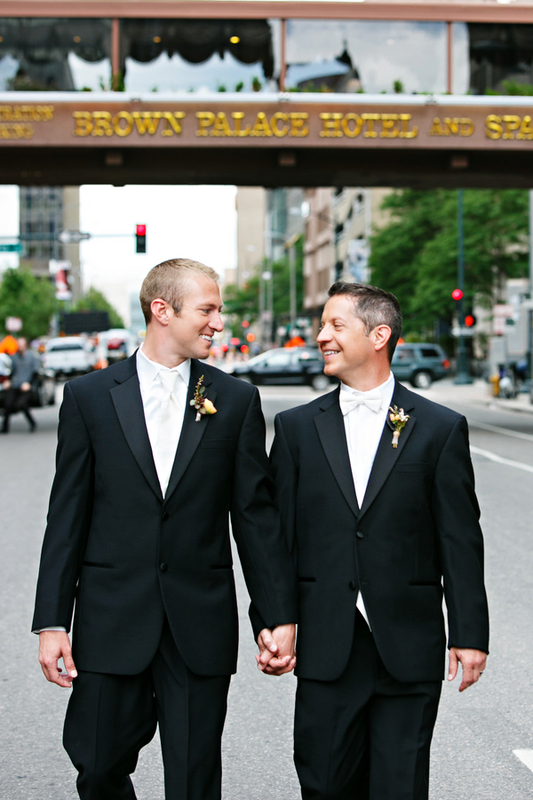 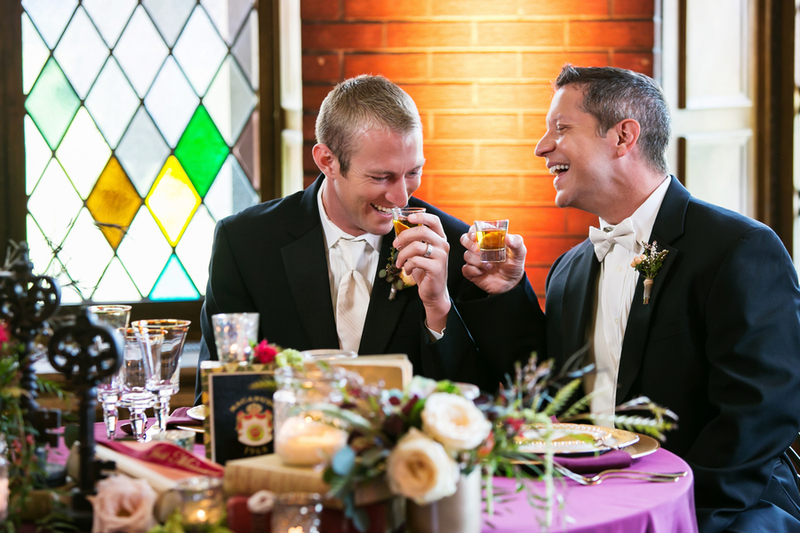 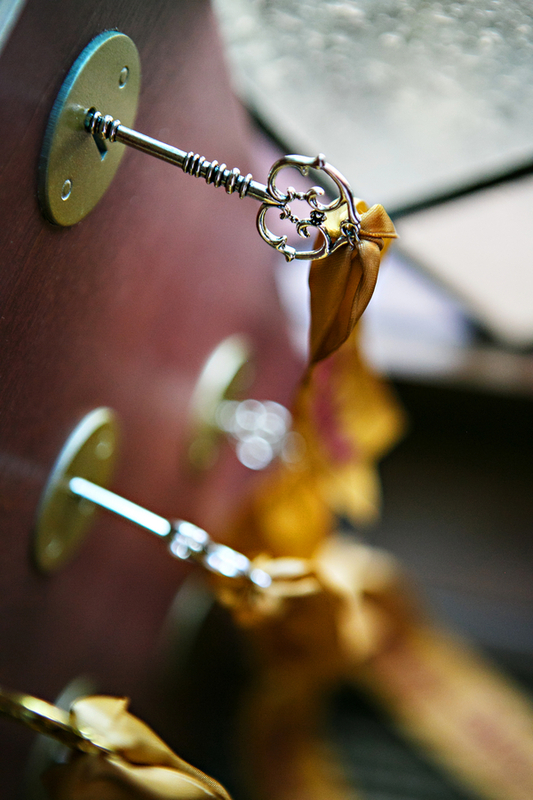 A Classic Gay Wedding with Vintage Keys! 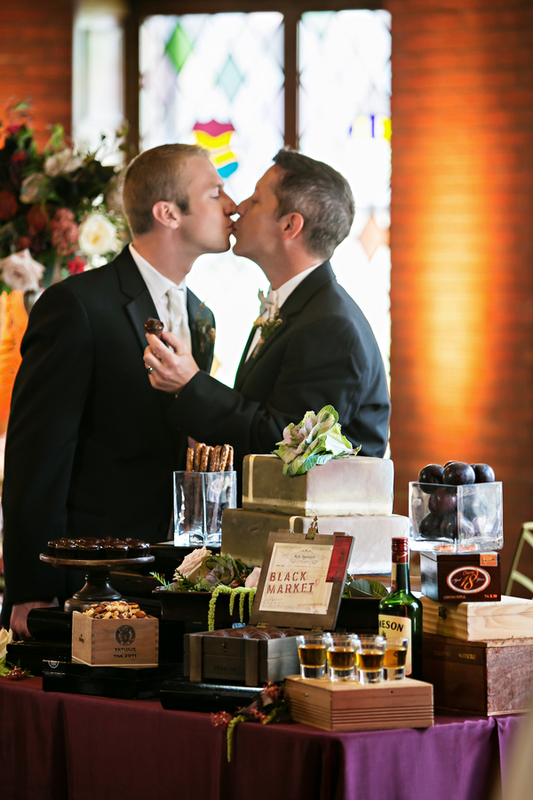 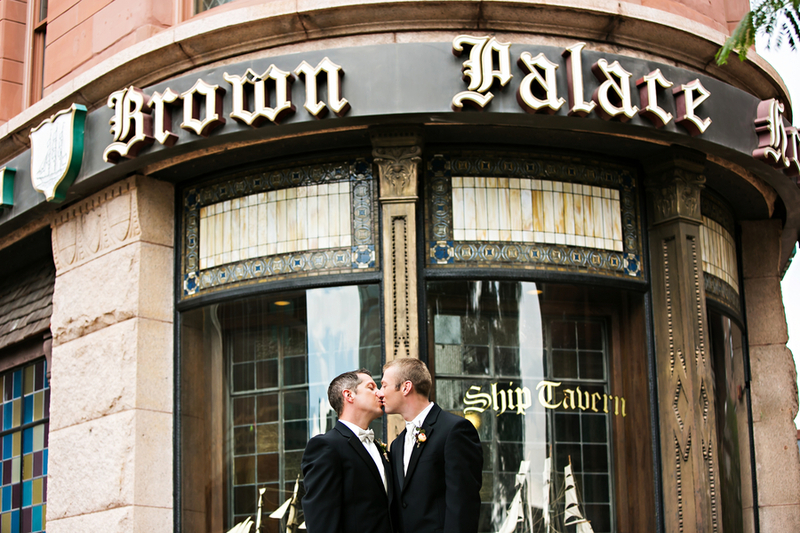 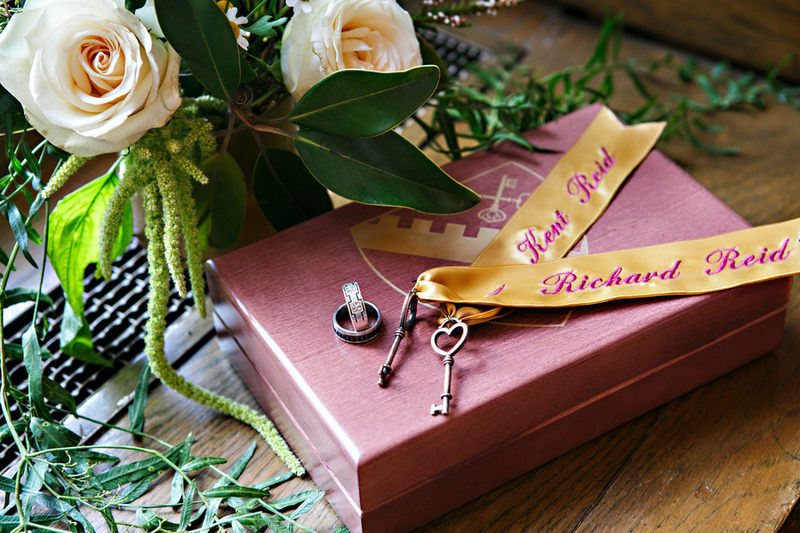 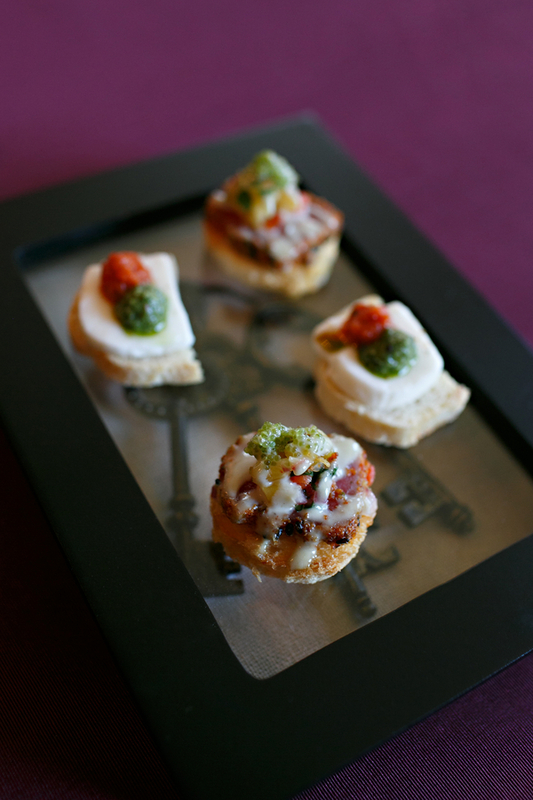 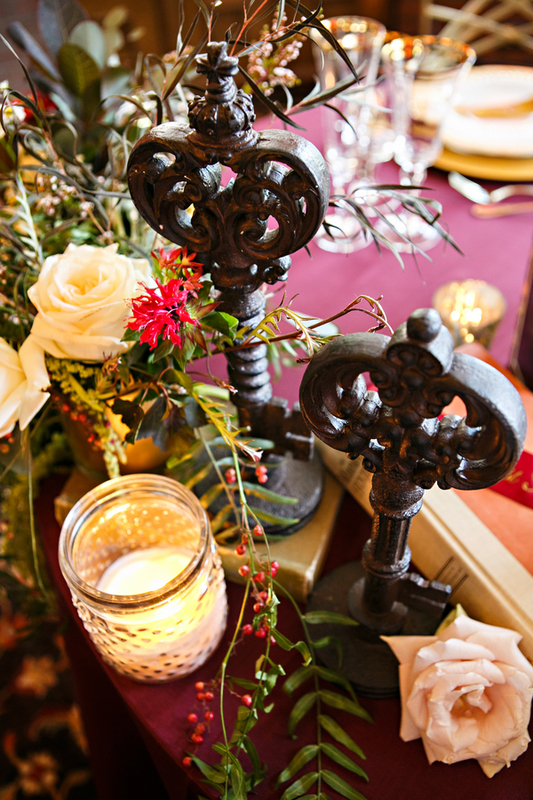 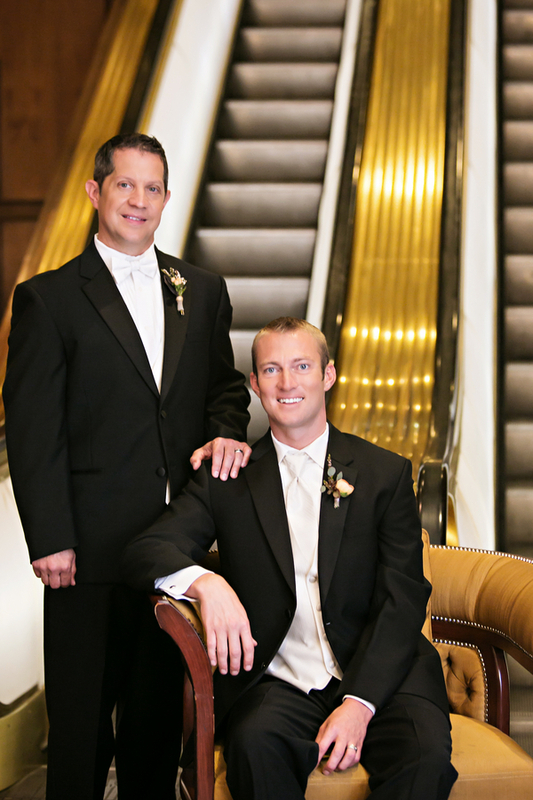 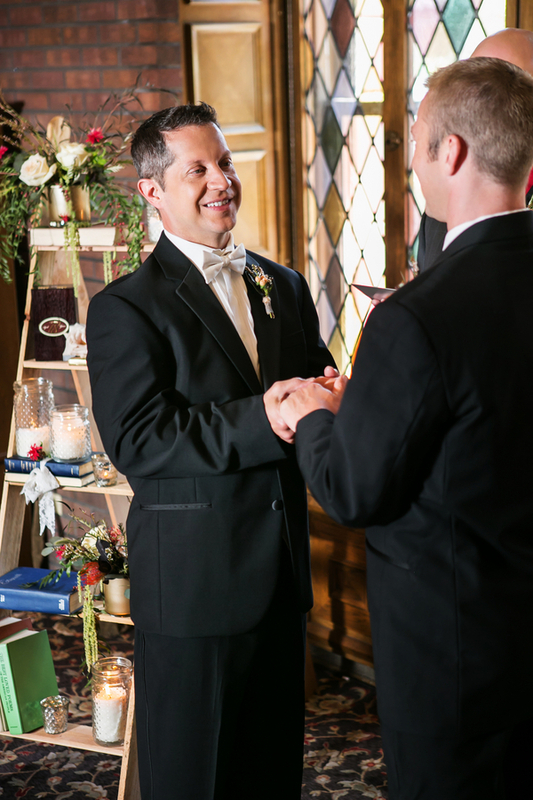 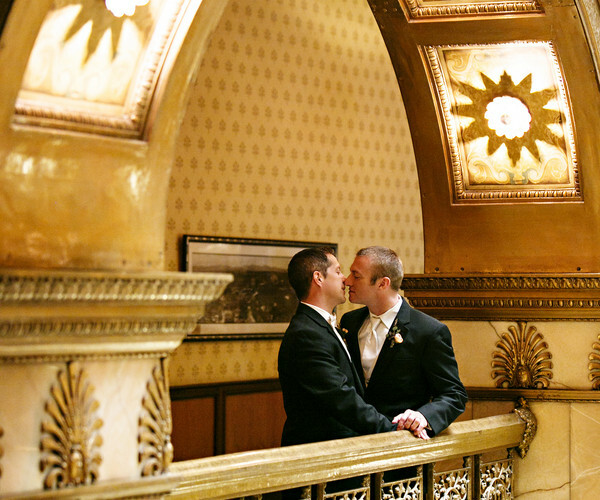 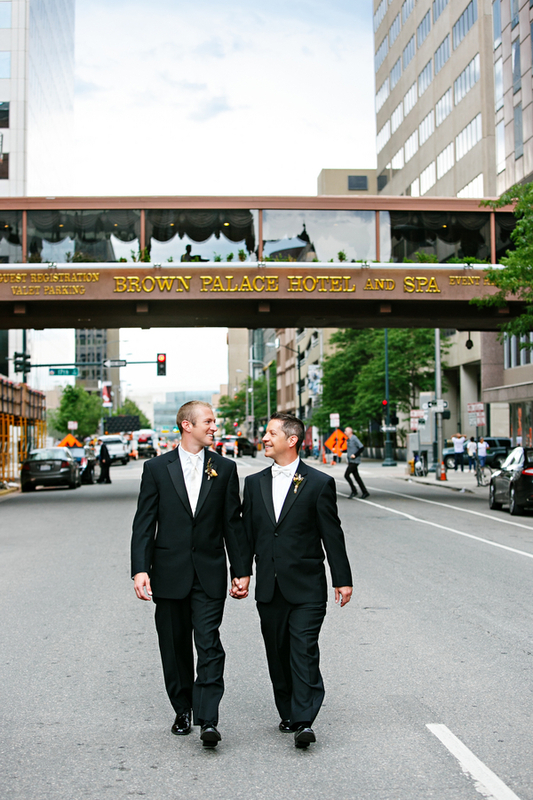 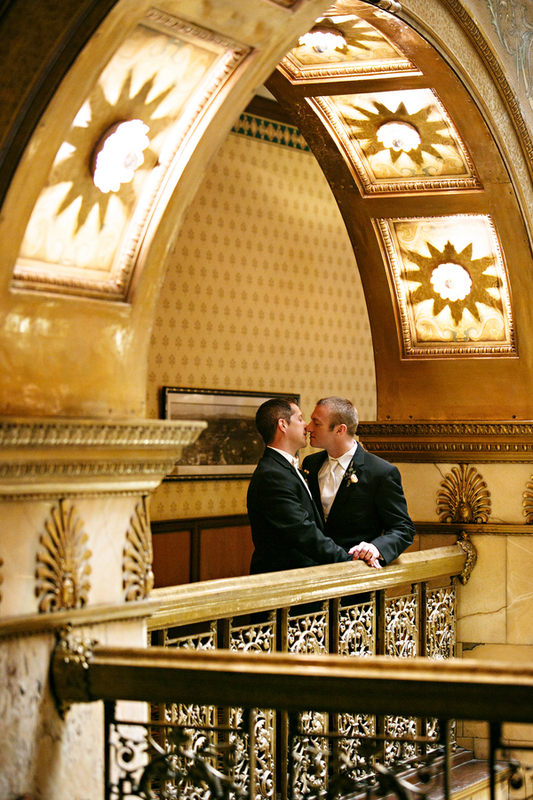 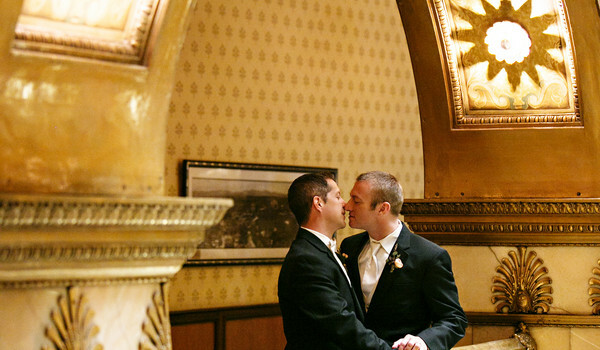 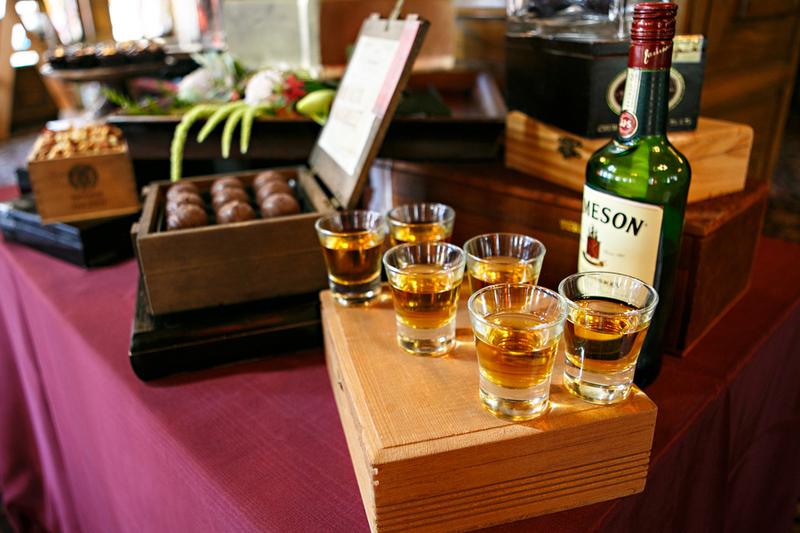 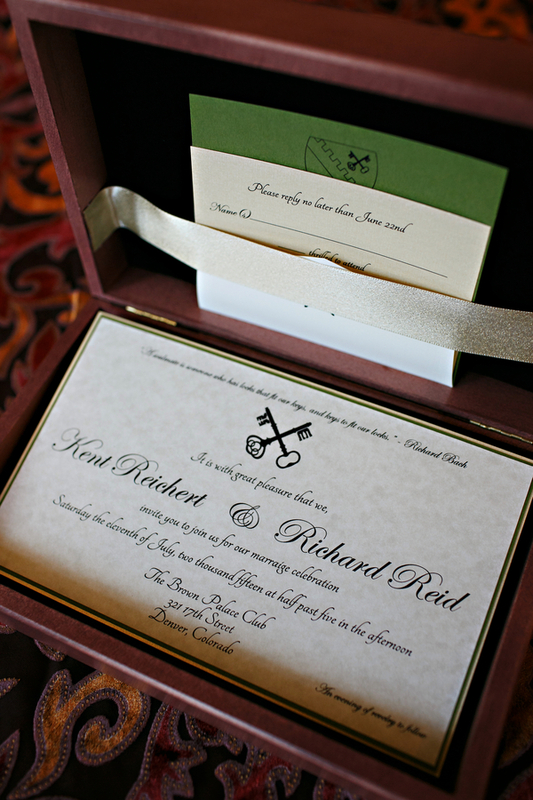 A classic styled shoot at the historic Brown Palace Hotel featuring a male couple as the grooms and vintage keys. 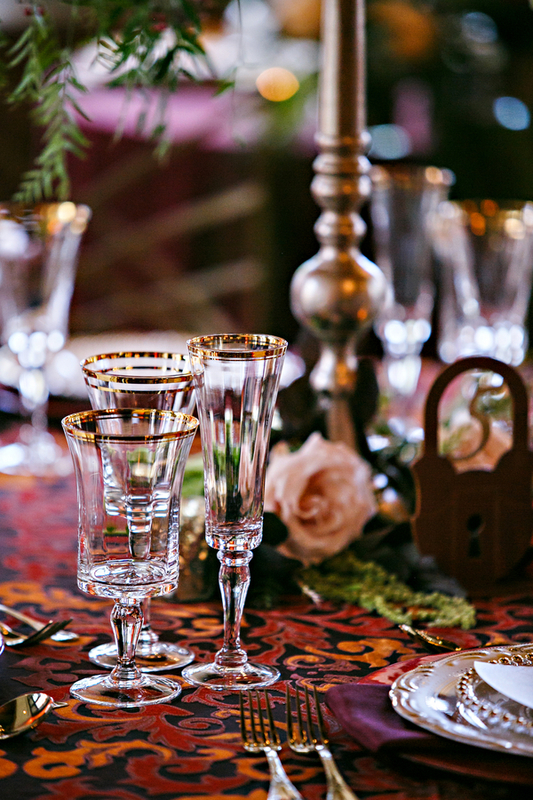 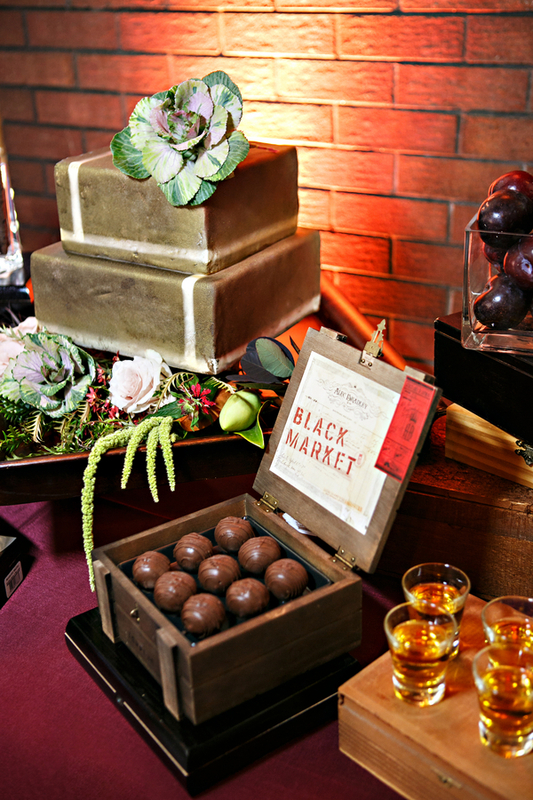 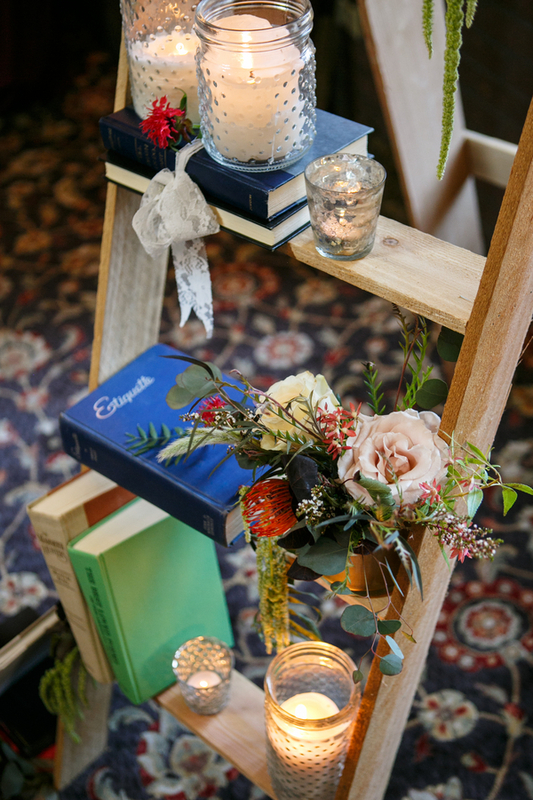 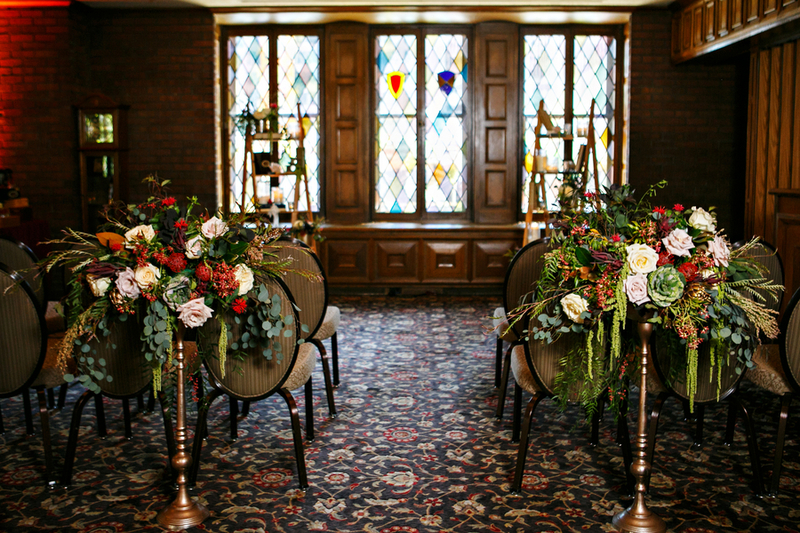 A use of masculine floral, decadent desserts with whiskey shooters, and romantic vintage styling were all set against beautiful stained glass windows, dark wood details, and a perfect color combination to highlight the hotel’s key features. 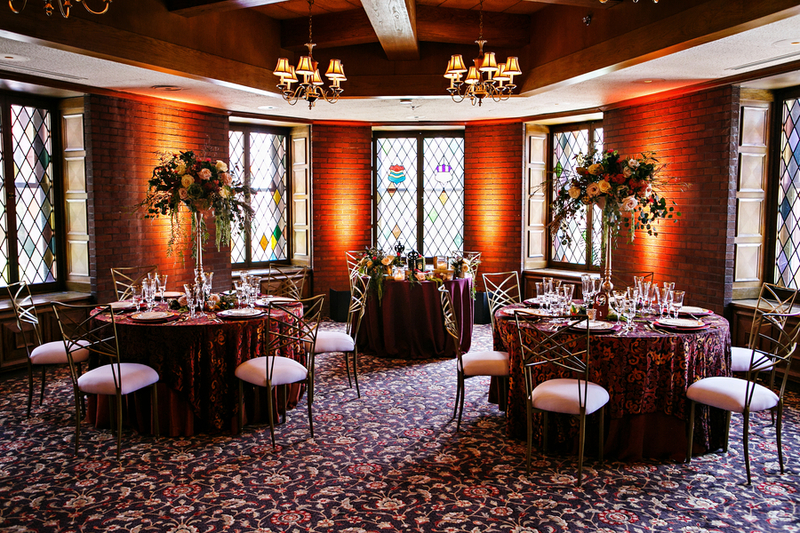 We wanted to tell the story of private club, within the hotel that has hosted many of Denver’s most affluent as well as national fame, including many U.S. Presidents. 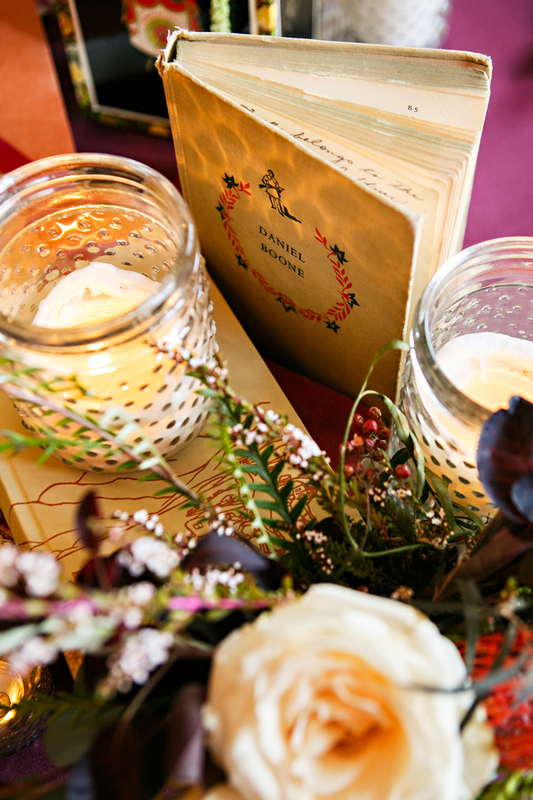 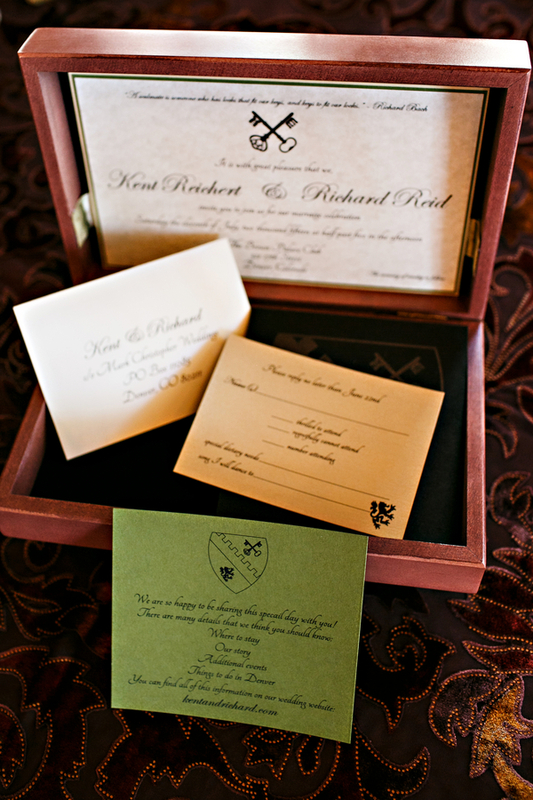 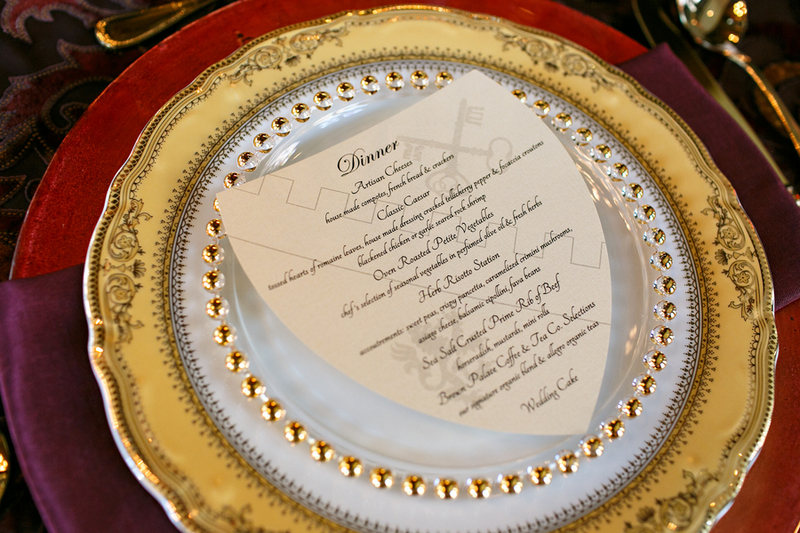 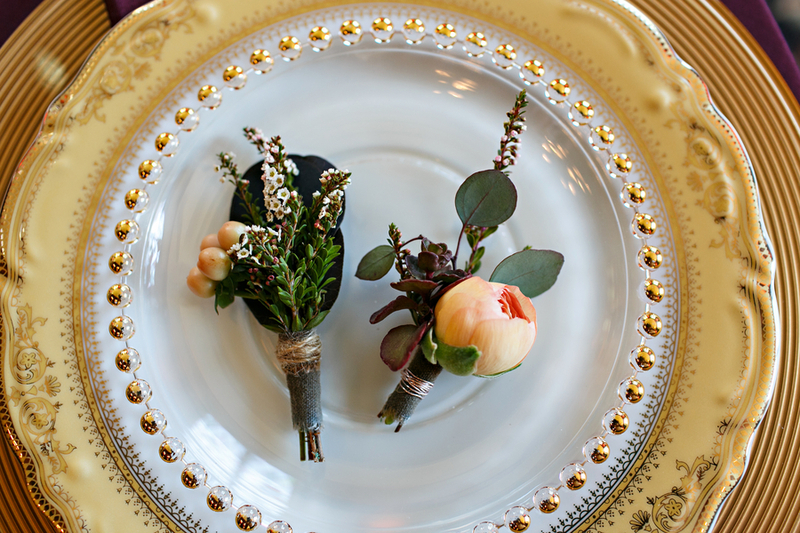 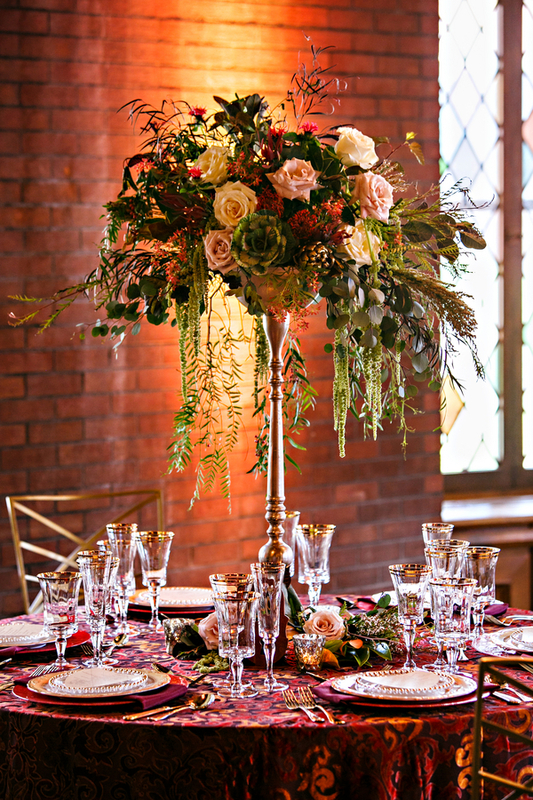 A classic and refined, yet romantic and slightly vintage style rounded out the overall look.